(RIA Novosti) - An outbreak of HIV infections in southern Kazakhstan has been contained, with a total of 78 children infected, the republic's Health Ministry said Monday. Earlier reports said a total of 76 children tested positive for the HIV virus following blood transfusions, eight of whom have already died. Eight adults also tested positive, reports Trend. "While not ruling out the possibility of further isolated instances of infection, there is good reason to say that the outbreak has been contained," the ministry said in a news release, adding that all infected children have been identified. "Of the 78, most were children in the high-risk group, mainly those who received blood transfusions at regional healthcare facilities," the ministry said. About 10,000 toddlers and 18,000 expectant mothers have been given HIV tests in the city of Shymkent, 1,000 miles south of the capital Astana, and in the surrounding Ongtustik Qazaqstan province since the first cases were detected among local hospital patients. A subsequent probe revealed that the hospitals had been using contaminated blood for transfusions, and that 64 of the country's 156 blood banks had violated safety regulations. The Kazakh Prosecutor General's office earlier said a criminal case was launched in July. Kazakh Health Minister Yerbolat Dosayev and regional governor Bolat Zhalkyshiyev were dismissed in mid-September in connection with the case. 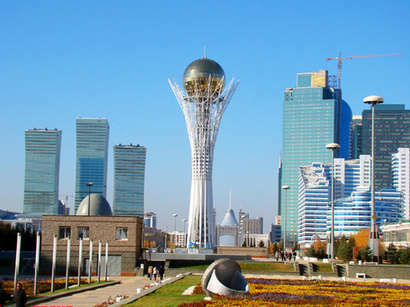 Kazakh President Nursultan Nazarbayev took the investigation into the infection case under his personal control. According to official statistics, the post-Soviet country registered 828 new HIV carriers and 70 AIDS patients in the first half of 2006, a 70 percent increase, year-on-year.